Wastewater professionals once accepted the high costs of operating wastewater treatment facilities as a consequence of meeting their discharge permit requirements. As the cost of energy rises and emphasis on renewable energy increases, local authorities and municipalities are seeking solutions that save money and meet renewable requirements. Jenbacher gas engines provide a renewable energy solution through cogeneration / combined heat & power (CHP) that results in long-term savings for wastewater treatment plants. Waste treatment processes include energy-intensive operations such as aeration and pumping. As a result, waste water treatment plants (WWTPs) require significant energy consumption. As electrical prices increase, plant operators are facing higher energy costs in order to meet discharge permit requirements. The second leading expense to WWTP owners is the cost of energy, behind only personnel. 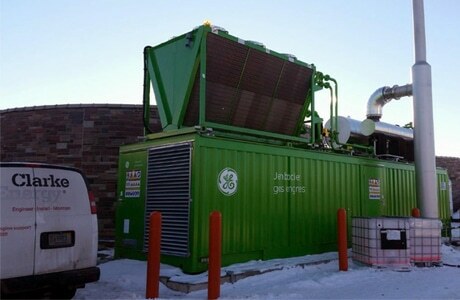 For plants, who employ anaerobic digestion for biosolids treatment, the process of combusting digester gas to produce electricity and heat through cogeneration/CHP may provide a solution to rising operational costs. A large proportion of the world's sewage systems do not recover value from the sewage in the form of electricity and heat. 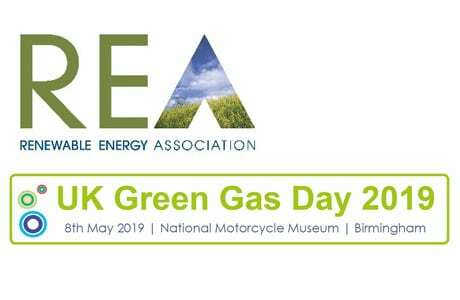 But, the renewable energy fuel source derived from sewage gas can be converted using reciprocating gas engines, to electricity and heat, offsetting as much as two-thirds of a plant's electricity demand and eliminating the need to purchase fossil fuels for plant heating processes. Sewage is collected in municipal sewage systems and sent to the waste water treatment plant. From here it is prepared and sent to the sewage digesters. In the digestion tanks a series of biological processes are harnessed in order to produce biogas. Hydrolysis is the process where the organic material is solubilised into the digestion liquid. It then undergoes the intermediate steps of acidogenesis and acetogenesis which create the precursor molecules for methanogenesis. Methanogens feed off these precursors and produce methane as a cellular waste product. The biogas containing this biologically-derived methane is contained and captured in a gas storage tank which is typically located separately to the main digester. The gas storage tank acts as a buffer in order to balance fluctuations in the production of gas in the digesters. Where gas production levels are low or highly variable, dual fuel mixing can be used to supplement the sewage gas with natural gas from the mains distribution network. Seamless dual fuel mixing Maximises renewable energy output and smoothens gas production fluctuations by supplementing with natural gas as required. LEANOX controls with turbocharger bypass Ensure the correct air-to-gas ratio under all operating conditions to minimise exhaust gas emissions while maintaining stable operation. Longer overhaul schedule Minimise maintenance costs with 60,000 operating hour overhaul intervals. Clarke Energy has extensive experience in the engineering, installation and maintenance of gas generation facilities operating on sewage gas and other gases derived from biological sources. The Jenbacher gas engine is known for having the highest levels of electrical efficiency on the market. When coupled with a contractual maintenance agreement with Clarke Energy, it will give peace of mind to our customers that they will achieve the highest levels of availability and hence consistant returns from their biogas plant. 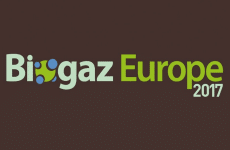 Clarke Energy exhibits at Biogaz Europe 2017 25th/26th Jan.